Salt Lake City (August 21, 2018) - Aquatic invasive species (AIS) personnel from the Utah Department of Natural Resources (DNR) have stopped more than 120 mussel-infested boats this year, most of which had visited Lake Powell, from launching at other Utah waterbodies. So far in 2018, more than 100 mussel-infested boats have been quarantined. A significant increase compared to recent years. "The quagga situation at Lake Powell has worsened. If you boat at Lake Powell it's very likely your boat has quagga mussels on it," said AIS Program Coordinator Nathan Owens. "With more mussels in the lake and lower water levels more boaters have mussels attached to their vessels than in past years. Our techs are regularly finding them on and in boats that have only been in Lake Powell for a day or two -- something we haven't experienced in the past. Boaters that visit another lake or reservoir after visiting Lake Powell will have their boat inspected again. If mussels are found the boat will be decontaminated and quarantined, if necessary. With the evolving situation at Lake Powell, AIS technicians are frequently finding mussels in sea strainers and attached to anchors. As a result, it's strongly encouraged that boaters have their boats decontaminated before leaving Lake Powell. If decontamination at Lake Powell is not possible, visit stdofthesea.utah.gov to find the location on your route of travel or near your place of residence. If you choose to clean drain and dry your own boat, rather than having it professionally decontaminated, take the time to inspect its anchor and sea strainer; flush and inspect its cooling intake or water system and pull all bilge plugs. For all vessels with ballast tanks, inboard motors, or other raw water systems (A/C, shower), the required dry time is always 30 days. What has Utah done to meet the increased threat? Utah has stepped up its inspection, decontamination, training, enforcement and monitoring efforts to address this growing problem. Some of those efforts are concentrated at Lake Powell, while others are happening throughout the state. Utah's inspection and decontamination efforts will surpass historic efforts this year. As of July 30, AIS technicians and personnel had inspected more than 144,000 watercraft statewide. Of those, 4,700 required decontamination. For reference, Utah performed 130,000 inspections and 4,400 decontaminations during the same period last year. So far in 2018, Utah's AIS technicians have worked closely with employees of the National Park Service to educate boaters about the changing situation at Lake Powell and to inspect more than 47,000 boats that were exiting the lake. More than 3,100 of those boats were decontaminated at the lake. In all of 2017, approximately 51,000 boats were inspected at Lake Powell, and roughly 2,500 were decontaminated. Boats that visit Lake Powell - and subsequently visit another body of water - are inspected again at the second location. As of Aug. 20, AIS inspection personnel have found 121 boats with mussels at other Utah lakes and reservoirs. Those boats were either decontaminated or quarantined. This is a significant increase compared to recent years. The number of boats encountered around the state with mussels found in their sea strainers has decreased dramatically since Utah's AIS technicians received the additional training. Criminal charges for mussel-related offenses range from an infraction to a Class A misdemeanor. Also, contaminated boats can be seized and placed in quarantine. So far in 2018, more than 100 mussel-infested boats have been quarantined. That compares to fewer than 10 boats quarantined in all of 2017. Utah has been vigilant in monitoring for quagga mussels at other lakes and reservoirs. AIS personnel routinely sample 45 of the state's highest-priority lakes and reservoirs every month from April to October. (Testing does not typically occur from November through March because the water is too cold for mussels to reproduce.) A second group of waterbodies is tested once or twice per year. 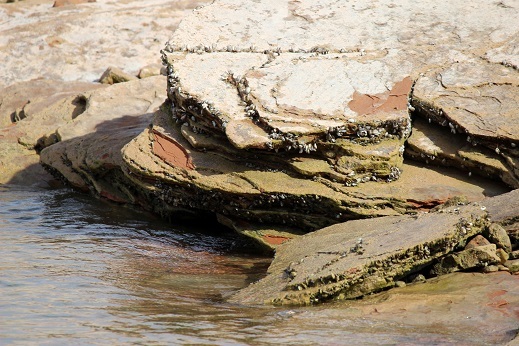 As of July 2018, all of Utah's other waterbodies had tested negative for quagga mussels.